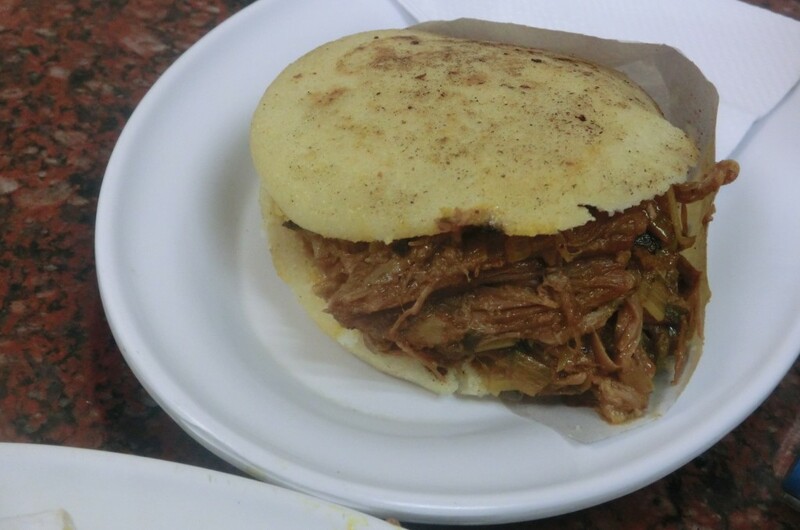 CARACAS, Venezuela — I’ve basically had one meal since I’ve arrived in Venezuela, and in the spirit that the local cuisine is going to be the tastiest cuisine, I made my first meal arepas (pictured above), a ubiquitous cornmeal disk (some are more pancake-esque, others biscuit-esque) filled in this case with beef. It’s not that I want to throw shade on Venezuela in particular, but it’s stunning to me just how unhealthy food is in Central America and in the Caribbean — when you think about the tropical climate that the region features, you’d think it could be one of the world’s most amazing food traditions — think fresh fishes complimented by fruit-based salsas and the kind of salads that put health-conscious Californians to shame. But the reality is a lot of fried food, heavy fare that seems somehow out-of-place in such a hot and humid climate, and I find that to be true throughout the region. In Nicaragua, they’ve turned fried pork rinds (chicharrón) into a main dish. El Salvador’s contribution is the pupusa, a kind of cheese-filled corn disk. 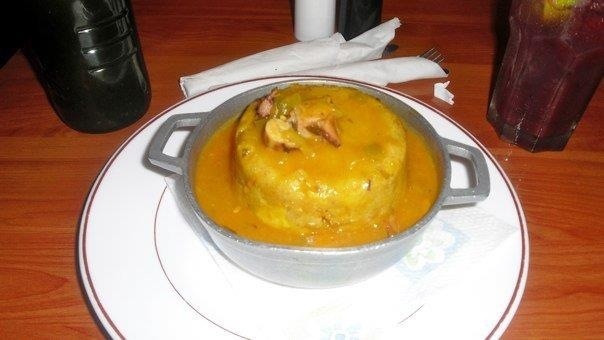 In Puerto Rico, the most well-known dish is mofongo, fried plantains that are mashed together (see below). Ubiquitous starchy fried plantain chips (patacones or tostones) are never hard to find. 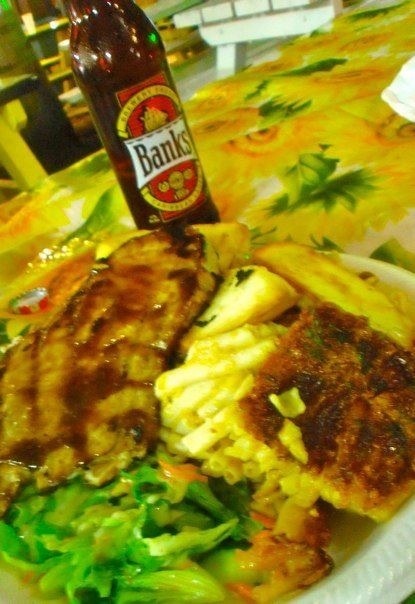 Throughout the Caribbean islands, fresh fish is routinely fried up (though sometimes mercifully grilled), and served with any number of heavy, starchy sides — in Barbados, ‘pie’ — what Americans know as macaroni and cheese — and french fries are a standard side dish. It’s not uncommon on the Colombian coast for a typical meal to include fried fish, rice or some other starchy dish, and some sort of fried plantain. Here in Venezuela, I also have to look forward to tequeños, a tight coil of fried white bread filled with white cheese, and I passed a stand earlier for cachapas, a kind of corn pancake. Moreover, this region in particular has taken a liking to norteamericano-style fast food. 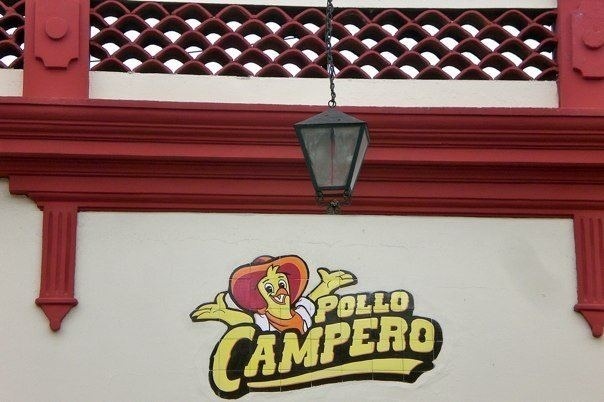 Guatemalans are so taken with fried chicken that a flight from Guatemala City to the States isn’t a flight without the smell wafting through the boxes of furtively (and not-so-furtively) obtained chicken from the home-grown chain, Pollo Campero (see below). But why did the food culture of the Caribbean basin develop in this fashion, and what does it mean for the region’s future? One line of thought is historical. The Caribbean basin was largely plantation-based, so food from the region ultimately was based on West African influences — nutritious enough for the grueling and dehumanizing work of a slave, but perhaps not best suited to a 21st century diet. Moreover, if you think about the two poles of Spanish America in the region, they’re Mexico City and Lima — both Mexican cuisine and Peruvian cuisine are more refined, with more regional variation and with more diverse flavors. So perhaps from the Spanish colonial era onwards, Spanish elites in both capitals demanded more sophisticated food. Chávez’s intervention was prompted by a study which suggested that in the past two decades the average adult Venezuelan’s “excess” weight had ballooned from 6.3kg (1 stone) to 14.5kg. As I mentioned in a piece on the Venezuelan economy yesterday, Puerto Rico stands as a fairly striking example of how subsidies can incentivize one sector at the expense of another. In Puerto Rico’s case, that meant that U.S. government subsidies for industrialization in the 1950s made a lasting and decimating impact on agriculture, leaving Puerto Rico dependent on U.S. agriculture instead for the import of fresh produce (I don’t mean here just coconuts and bananas, both of which the island still has in abundance). But it is patently absurd when you live on a tropical island, of course, to depend on Florida, Texas and California to provide so many staple fruits and vegetables. Remarkably, agriculture accounts for just 0.6% of Puerto Rico’s economy and 3% of Venezuela’s! Sure enough, the tourism and commodity-based Caribbean economies are by no means dynamic — you can’t build a truly three-dimensional economy on a cyclical service industry plus maybe some nutmeg here, some cacao there, and a little rum. Nor are Nicaragua, Guatemala, Honduras or El Salvador necessarily examples of political or economic stability. Panamá, Belize and Costa Rica are essentially the only developed countries in the region (if not already, they’ll soon be there), on the basis of canal rents in the case of the former and the safety/convenience factor in the case of the two latter. 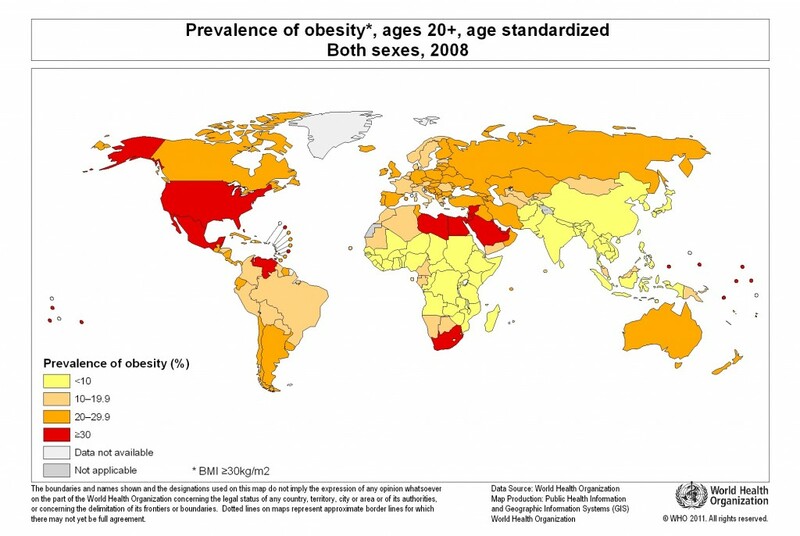 This post, I suppose, is somewhat of a rant, but keep in mind that food economics is an incredibly important matter — and Latin America (especially within the Central American and Caribbean basin region) bears one of the world’s fastest-growing obesity rates. Just as in the developing world, there’s a socioeconomic component, too — it’s the poor in Latin America that are becoming in particular more obese. Photo credit to Kevin Lees — arepas in Caracas, Venezuela, April 2013; mofongo in San Juan, Puerto Rico, September 2010; Bajan food in Barbados, February 2011; and Pollo Campero in Antigua, Guatemala, September 2009.